This template comes with a great lay out made for candidates of any job type! 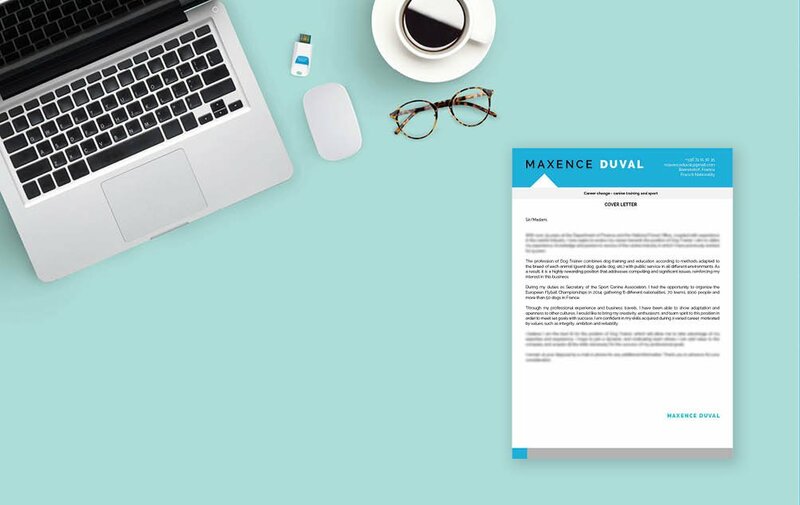 Cover letter to download "Retraining-1"
This template does a perfect job in presenting your qualifications! 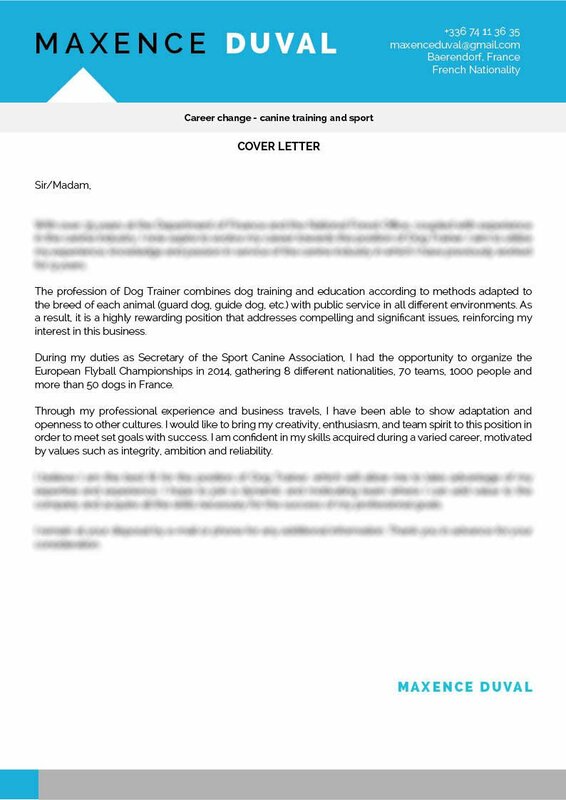 This cover letter template features an excellent selection of colors, shapes, and texts that create a professional Cover letter format that is helpful for those looking to for a job in canine training. Applicants who have a strong set of skills and experience will find this cover letter a great fit since it presents all the aligned content with great detail thanks to its well-structured format that is sure to impress any hiring manager that reads! 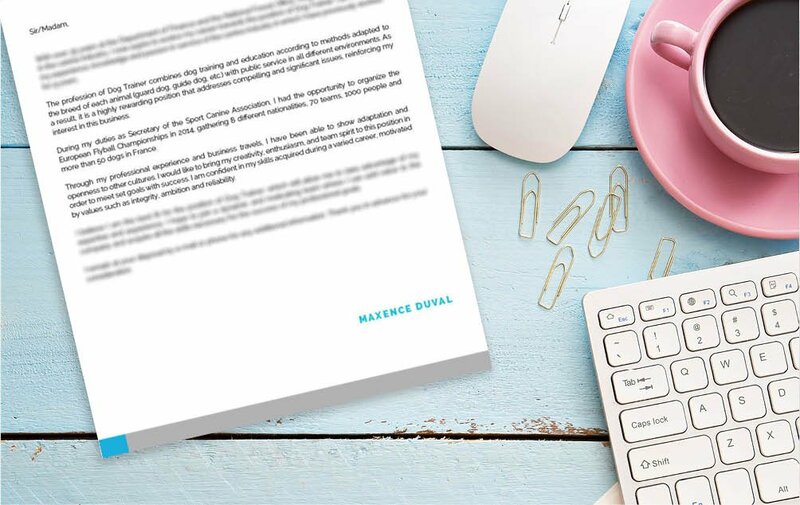 How can you create a more eye-catching cover letter? Simple, all you need is an effective and comprehensive cover letter format. That cover letter of yours will surely land you that dream job! In-coming cover letters are typically reviewed for just 10-30 seconds, no matter how well written it is—it won't get a full reading the first time through! So it's important that you present all your qualifications with a well-organized format. To achieve this, use a simple, yet professional font like Serif or Sans Serif, select a font size between 11 and 12, and us italic/bold font styles to help guide your reader's eyes along with your cover letter with ease. 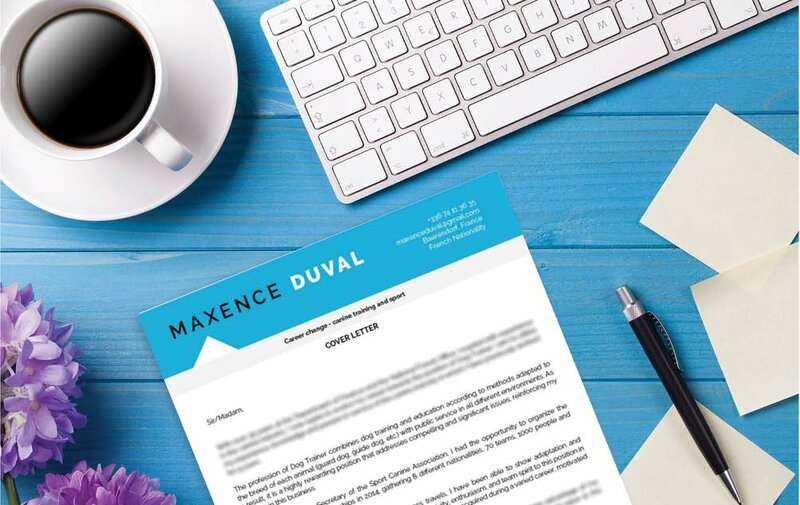 Give attention to the key parts of your cover letter by effectively using graphics and bullet points. And finally, give your cover letter a logical format by using wide-margins, headings, and subheadings.